Seek To Know The Truth: Are Christians called to pacifism? A few weeks ago a reader asked us if we could address the issue of pacifism. 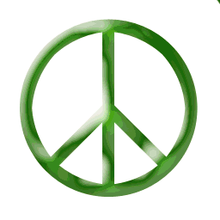 Namely, are Christians called to be pacifists? I’m sure you have heard the argument: Jesus didn’t wield a sword, so we shouldn’t either. Do you remember that one time Jesus struck down evil doers with his dagger? That’s because it didn’t happen. If Jesus is the embodiment of justice and God’s ethic of love, than we should follow his footsteps. He didn’t use physical force to restrain evil so neither should we. 1) God ordained the world in such a way that physical and lethal punishment for certain sin is a form of grace. In Genesis 9:6 God mandates that murderers should be executed. This requires those who fear God to obey his command, and working in concert with the law of the land to execute those who have shed innocent blood. Jesus reaffirmed this principle in the New Testament when he rebuked Peter by saying, “all those who take up a sword will perish by a sword” (Mat 26:52). Clearly this is a form of common grace, as it acts as a restraint on crime and is a protection for human life. 2) Christians are to bear the sword because we love our neighbors. There is a hierarchy of love. We love God. We love our wives, followed by our families. We love our church. We love our neighbors. We love our enemies. But if our enemy attacks our neighbor, it is our duty (out of love for our neighbor) to intervene and protect innocent life. I have heard some claim that you should not protect your neighbor out of love for your enemy. That view is ironically unloving! If an innocent person is in danger, out of love we seek to suppress that danger. 3) John the Baptist validated the convert’s role in the military. When soldiers repented from their sin and asked John how they should then live, John’s reply was in essence, “Be a just soldier” (Luke 3:14). Clearly, soldiers bear arms. What is often overlooked in this passage though is that John is also separating military service from the ethics and nobility of the country served. It is unlikely that John was validating the moral integrity of the Roman leaders, nor was he endorsing the forced Roman occupancy of Israel. This is probably why the soldiers were confused to begin with; they were wondering how, in light of their repentance, they should relate the Roman military. John’s response was to stay as a soldier, but on an individual level to act justly. 4) Governments come from God (John 19:11). This does not mean that they always do what is right, but that their authority to act is grounded in God’s will. This is why Paul can say “government is God’s servant to you for good” (Rom 13:4). Paul immediately connects that to the wielding of physical force: “government is God’s servant, an avenger that brings wrath on the one who does wrong.” By the way, to imply that Christians should not have a part in executing someone in accordance with Gen 9:6 and Mat 25:52 is to imply that Christians should not be working in government. But it makes no sense to say that God set up the governments of the world to check evil, yet God’s people should not have a role in that checking of evil. If true, that would indicate a contrary nature in God—that those who love him and serve him could not carry out his commands because those commands might contradict what is loving. That is a convoluted position not supported by the scriptures. 5) There is a difference between individual and corporate ethics. If someone is persecuting you as an individual, you are to turn the other cheek (Mat 5:29). But if you are an agent of the government, sent to punish evil doers, then you have the divine mandate to bear the sword and to protect those who are being persecuted. The difference comes down to motives, roles, and applying varying ethics to differing situations. If someone assaults you as a Christian, turn away. If someone assaults your neighbor, protect them. And if you are a soldier, protect the innocent and punish the wrong. Meanwhile, all of us are called to allow the government to bear the sword, punish evil, and fulfill the words of Christ: if someone takes up the sword unjustly, then they need to perish by the sword swiftly (Mat 26:52).